Other than an unpleasant intervention in the Dail by Sinn Fein president Mary Lou McDonald, in the Republic the appointment of PSNI Deputy Chief Constable Drew Harris as Garda Commissioner has had almost unanimous approval in the media and among politicians. Why? Because other than criminals and republican fanatics (who of course are sometimes one and the same), there is a hunger for an appointment that will clean up the Garda. Rather like the NHS in the UK, An Garda Siochana has been a much loved institution whose sins and failings have been mostly overlooked for many decades. While the RUC - which was holding the line in terrible circumstances - was being demonised by police murderers and their apologists, the Garda had the support of the vast majority of those it served. Yes, it upset those whom it called "subversives", but unlike in Northern Ireland, extreme republicans got little public support except at periods like the hunger strikes and Drumcree, when tribal passions erupted. Governments shrugged off allegations about anti-republican police brutality in the 1970s from what was nicknamed "the Heavy Gang", hardly anyone was prepared to take seriously allegations of collusion by IRA moles, and even eye-popping instances of inefficiency and corruption were mostly overlooked. Complacency ruled. And when there was discussion about the Patten reforms, the general view was that maximum reform was required up there, but on the whole we were grand down here. There were occasional inquiries into individual glaring cases of malpractice, but recommendations tended to be ignored and reforms were few. There was no credible scrutiny of the force. Latterly, however, it was no longer possible to ignore the scandals which were coming thick and fast, revealing a rotten culture of fecklessness, indiscipline and self-preservation that extended to the persecution of whistleblowers. More and more revelations bothered the average citizen: perhaps the most startling was the discovery that of the 3.5 million alcohol breath tests recorded on the Garda computer database between 2009 and 2017, 1.4m had never happened. And then there was the culmination of gang warfare by drug cartels on the streets of Dublin that has produced the deadly Kinehan-Hutch feud. This is complicated by the fact that the crime gangs are mostly run from Spain and the drugs and firearms come from abroad. No realists think the Garda is fit to address this. Heads had begun to roll and there was fear that the force was unreformable without help from outside. 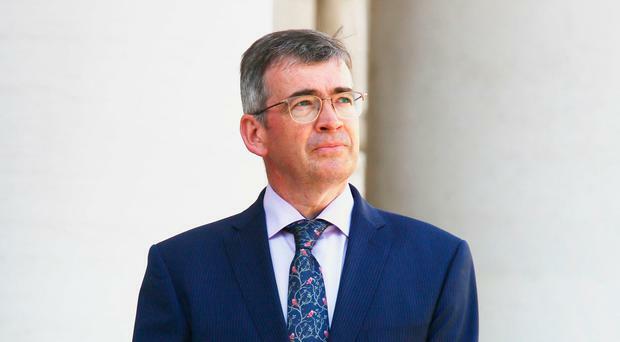 As RTE's Northern editor Tommie Gorman put it: "Rather than coast towards the pension and supplement a softer life with occasional private sector projects, Drew Harris opted for promotion to a swamp that delivered a messy premature departure for its two most recent commissioners." Mr Gorman goes against the RTE ethos by reflecting the real Northern Ireland rather than that in the fevered imagination or propaganda organs of Sinn Fein activists. He laid it on the line: "The PSNI I've dealt with during almost two decades has consistently been more impressive than the Garda. Part of that was due to the lesson emphasised time after time during the Troubles - to achieve cross-community support it had no choice but to radically change." Harris, whom he knows well, was "a product of ongoing scrutiny". There is a general excitement that someone with such an outstanding record thinks he can do the job. Ms McDonald and her party have already gone against the present mood by demanding the abolition of the Special Criminal Court, which normally deals with terrorists but will have a key role to play in dealing with gangs. In the Dail she said that Mr Harris had to demonstrate "that he in no way subscribes to the toxic, vindictive policing culture which necessitated the disbandment of the RUC" (a lie: it wasn't disbanded). She was slapped down by the Taoiseach for "trying to undermine confidence in the new Garda Commissioner before he's even taken up office". The Irish Times, which many consider soft on Sinn Fein, observed in an editorial that "holding those responsible of wrongdoing to account is hardly a subject about which Sinn Fein is in a position to cast the first stone." What works well in the Felons Club isn't going down well in Dublin.